I joined the trust in July 2011, I am a member of South West Baptist Church. I am married to Alan and we have two children who have provided us with three grandchildren. When I started my oldest grandson was happily established in the ‘Juniors’, and after attending the Kindergarten he moved to one of the local schools. My granddaughter currently attending and has recently moved into the ‘Juniors’. I have been involved in education for many years as a teacher, and more recently in a management role. It is a pleasure to be involved with preschools that have a good reputation and are focused on our community. My name is Chris Habinshuti. I’m married to Paul and have two mostly delightful little people called Benji and Hana. Benji attended the preschool here but is now at Aidenfield Primary and Hana currently hangs out in the SBC Kindy. I work part time as an English language tutor and educational developer at Ara and also do some youth work supervision for some local 24/7 youth workers. It’s a privilege to be on the BBCT board. I’m looking forward to connecting with the staff more and am excited about the Trust’s potential and community impact it has. I am the 018 Manager at SWBC which basically means I have something to do with Children and Youth at South West Baptist Church. I am married to Emma and have 3 kids; Serayah, Jazz and Micah. 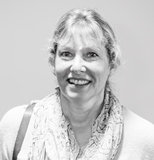 I have been involved with Trusts, youth work and children’s work of varying sorts for the last 25 years and have a passion to see young people flourish and grow into healthy adults with a strong faith. 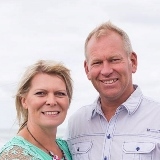 Emma and I spent 3 years on the mission field working with YWAM in southern Africa in our life before kids so our passions are youth, children, missions and family- along with a great cup of coffee. I have been employed by the Building Blocks Community Trust since July 2002, starting as a trainee, learning from the bottom up as a training and after qualifying moving into a full time teaching then Team leading role in the Nursery. I was appointed to the role of Director in July 2006 which included 9 years (2005-2014) as a Trustee. My passion has always been with children and families, helping them to reach their full potential. I am a member of the South West Baptist Church and the Hoon Hay neighborhood community. I have one daughter who has grown up in this Centres environment and my husband Murray was employed as the maintenance person for several years. We are blessed to have been operating for well over 30 years and I am pleased to be able to continue to support our staff who are committed to our shared Mission, Vision and Values with SWBC.